Smoke as the one of weather hazard that contains large pollutant and affect the major live aspects: health, tourism, transportation and climate. Due to its regular appearance in Maritime Continent Indonesian area South East Asia, it is important to assess the satellite remote sensing Himawari_8 data to detect smoke and model the horizontal visibility as the smoke proxy. Using RGB (red, green, blue) combination, maximum likelihood and backward selection of multiple regression were used to detect and to develop the horizontal visibility model. RGB aerosol and RGB day natural color visually sees only the thick smoke with horizontal visibility observe below 1600 m. The best horizontal visibility model [with significant level 95% (probability < 0.05)] was develop from combination of band 3 (0.64 µm); band 7 (3.9 µm); and band 14 (11.2 µm) with root means square error value is about 404 m and correlation value is about 0.69. This work as a part of Ph.D. research that was supported by Education and Training Center of Indonesian Meteorological Climatological and Geophysical Agency. We thank to Mr. Andersen Panjaitan as the Chief of Satellite SubDivision of BMKG for providing Himawari_8 satellite data and Mr. Retnadi Heru Jatmiko (UGM) and Mr Alpon Sepriando (BMKG) for valuable discussions. Wang, J., Song, W., Wang, W., Zhang, Y., & Liu, S. (2011). A new algorithm for forest fire smoke detection based on MODIS data in Heilongjiang province. In 2011 international conference on remote sensing, environment and transportation engineering (pp. 5–8). https://doi.org/10.1109/RSETE.2011.5964042. Cetin, M., Kavzoglu, T., & Musaoglu, N. (2004). Classification of multi-spectral, multi-temporal and multi-sensor images using principal componenet analysis and artificial neural network: Beykoz case (pp. 0–5). Estambul: Cartesio.org. Retrieved from http://cartesia.org/geodoc/isprs2004/comm4/papers/480.pdf. Indrawati, L., Hartono, H., & Sunarto, S. (2009). Klasifikasi Pohon Keputusan Untuk Kajian Perubahan Penggunaan Lahan Kota Semarang Menggunakan Citra Landsat TM/ETM+. Majalah Geografi Indonesia, 23(2), 109–123. https://www.ingentaconnect.com/content/doaj/02151790/2016/00000023/00000002/art00002. Li, B., & Hou, L. (2015). Discuss on satellite-based particulate matter monitoring technique. 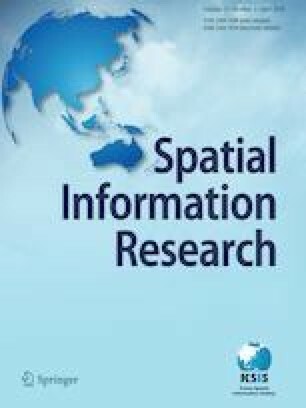 In ISPRS—International Archives of the Photogrammetry, Remote Sensing and Spatial Information Sciences (Vol. XL-7/W3, pp. 219–223). https://doi.org/10.5194/isprsarchives-xl-7-w3-219-2015.